Deveneys of Dundrum: Winter stock of Augustiner. The Winter stock of Augustiner just arrived in Dundrum last night. Limited stock available. Get in touch if you want a stash - it'll move like Linford. 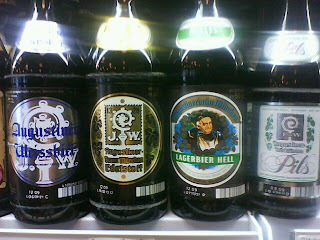 Labels: Winter stock of Augustiner.